The Chaudière Facility is located in Parc des Chutes-de-la-Chaudière at the southern tip of the Pierre-Laporte Bridge, near the town of Lévis, Québec on the Chaudière River, which has an upstream drainage area of approximately 6,605 square kilometres and comprises the Megantic Lake and the Beaurivage River. Chaudière is a run-of-the-river hydroelectric power generating station that holds two horizontal double regulated Kaplan-type turbines. The plant is fully automated and may be operated locally or remotely. The power generated is transmitted to the grid of Hydro-Québec through a 200-meter overhead line. The facility’s average annual production of electricity is 116,651 MWh. In 1970, an ice pack took away a part of the dam built in 1901. Production ceased and the plant was demolished several years later. In the mid-1980s, interest in the reconstruction of the dam and power plant began to manifest itself in the community. Independent power producers were then invited by the Ministry of Natural Resources to submit proposals for reconstruction. In 1993, Innergex was accepted on the basis of its proposal, which best responded to the needs and concerns of the community as expressed by the Regional County Municipality (RCM) of Chutes-de-la-Chaudière. The reconstruction work was completed during the summer of 1999. This achievement is the fruit of the concerted efforts of both Innergex and the community. It reflects the spirit of teamwork that prevailed throughout the construction of the dam and power plant. 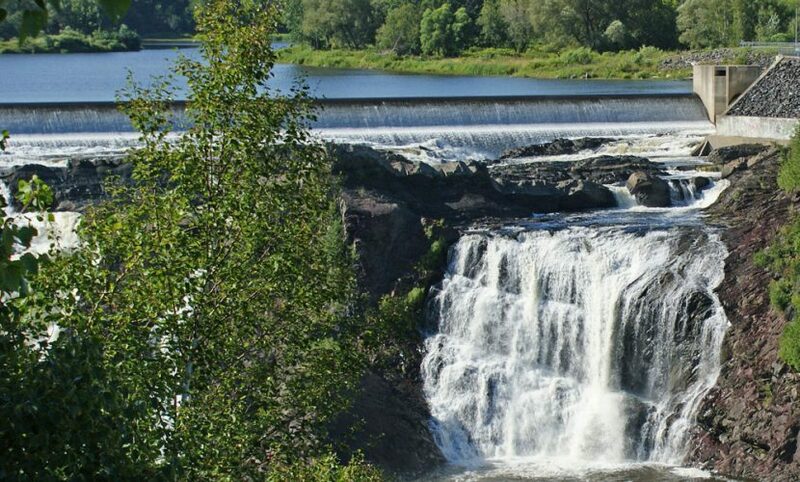 The RCM, the towns of Saint-Nicolas and Charny and numerous citizens committees contributed to the success of the project, which has become a major regional tourist attraction, Parc des Chutes-de-la-Chaudière, that draws more than 300,000 visitors every year.